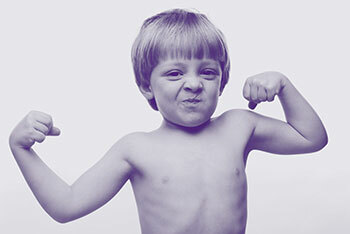 any thinkable food! This blog will highlight our big passion for licorice and enlighten you with FUN insights on typical Icelandic licorice. Licorice is made from the licorice root – in greek called “Glyccyrhiza glabra”. 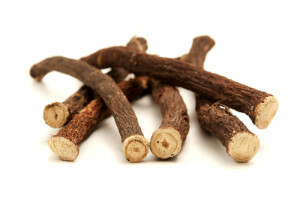 The historical use of licorice root has been known for its health benefits, such as helping and soothing stomach problems, cleansing the respiratory system and reducing stress. It is however important to mention that these benefits have not been proven by medical research, although the medicinal benefits and overall holistic use of licorice root are becoming more accepted in the medicinal sector. The consistency of licorice can both be deliciously chewy, hard and soft. Also the flavor of licorice can vary from anything within the salty to sweet spectra. The salty licorice taste can be a tad to the strong side – but since kids in Iceland grow up learning to love this licorice taste, it is just as the title of this blog implies – a strong candy taste for a strong nationality …! Licorice: Love or hate it? It is safe to say that we LOVE eating licorice in Iceland! It is almost like a twisted candy obsession since it is added in almost any thinkable food here! For instance butter, liquor, caramel, marzipan, ice cream, almonds, salt … You name it and Iceland´s got it! Travelers from abroad might think we have a strange licorice fetisch here in Iceland, since licorice is not something that pleases everyone´s taste. I do nevertheless recommend you trying it out while traveling in Iceland – as licorice truly is a typical and delicious Icelandic food! FUN video of guy trying Icelandic Licorice …for the first time! Sorry, we just think it is really funny how travelers from abroad, at times simply can not stand the taste of licorice! 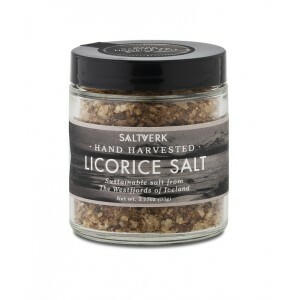 It is very hard for Icelanders to apprehend, as we could stuff ourselves with Licorice 24/7 and would NEVER consider Licorice to be unappetising. I hope you thought the video above was fun and I hope it has not frightened you from trying out some of the most delicious and typical Icelandic candies based on licorice? We enjoy eating licorice, specially together with chocolate! Mmm… there are so many good and different licorice and chocolate varieties! 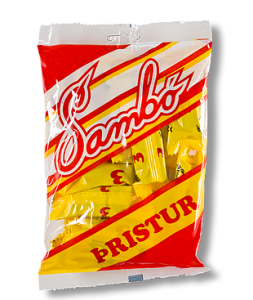 Some of the candies introduced in the video above might have been some of the “strong” Icelandic licorice kinds. I will therefore do my very best to give you my top 5 list of favorite licorice sweets … Trust me they are all very tasty! #1. My favorite licorice chocolate bar is `Draumur´ – which in Icelandic means “dream”. The taste is simply that DREAMY! It is a long licorice bar covered in light chocolate. This little peace of heaven normally lives and will haunt you every time you go to an Icelandic Supermarket. Quite frequently, I can simply not resist grabbing for a Draumur, while waiting for the casher to check on my groceries … AND volia, Draumur has “accidently” landed along all my other groceries …! #2. 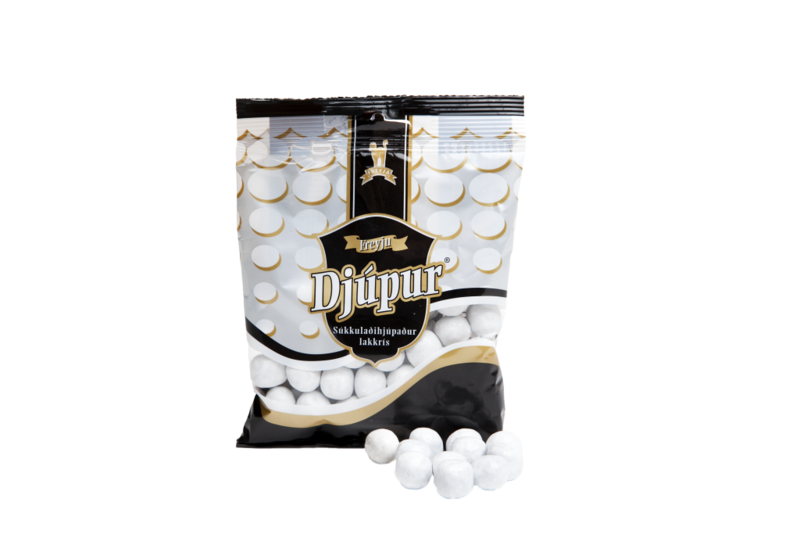 The candy – `Djúpur´, comes in a very close run with the above mentioned `Draumur´ in winning my attention on licorice chocholate based candy! Here the licorice is covered in milk chocolate and white frosting. Djúpur is also SO delicious and since they are so small, you can easily eat many! Before you know it – you might have ripped the entire bag! #3. þristur (pronounce it like Thristur) is a very delicious chocolate covered bar with bits of Icelandic licorice inside! It is a very typical and enjoyed Icelandic candy bar. #4. Lakkrísreimar is definitely also a licorice candy enjoyed and eaten by all Icelanders. Translating the name literally means “licorice shoelaces” and resembles the looks of the long licorice strips. Normally, one says “do not play with your food”! In this particular case, one may and should always play with these tasty licorice strips as it so FUN being creative with them! For instance by braiding different pieces together or by competing with your friend in who can eat a licorice strip the fastest without using the hands! #5. 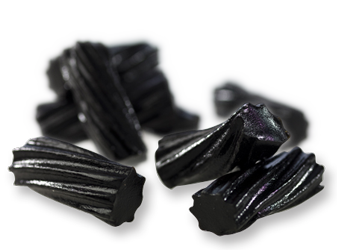 Lakkrís Toppar are very sweet and delicious licorice treats – eaten and loved by ALL Icelanders! Translating directly the name of this amazing licorice sweet means “licorice tops”. 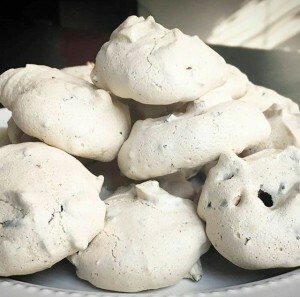 Lakkrís Toppar are most commonly enjoyed in the Christmas season in Iceland, but most definitely also enjoyed from time to time throughout the year on special occasions. Do you want to try these peaces of heaven too? Then try out this very easy to follow recipe here! This is the end of my blog and I hope you found it interesting! Please feel free to comment below if you have any questions or comments on anything about Icelandic licorice. HEY there fellow food-lover! My biggest passion in life is FOOD! 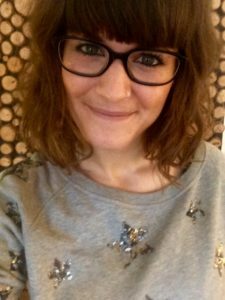 I am a health nutritionist from Copenhagen and I recently moved from Denmark to Iceland. Even though I´m educated within this healthy field, it does not mean that I live on only carrots and water! Health is so much more and when it comes to my life philosophy regarding my food intakes – I feel it is way more important to eat foods with a balance and variety, rather than restricting myself from certain foods. There will definitely always be room for eating delicious candy, such as licorice …!